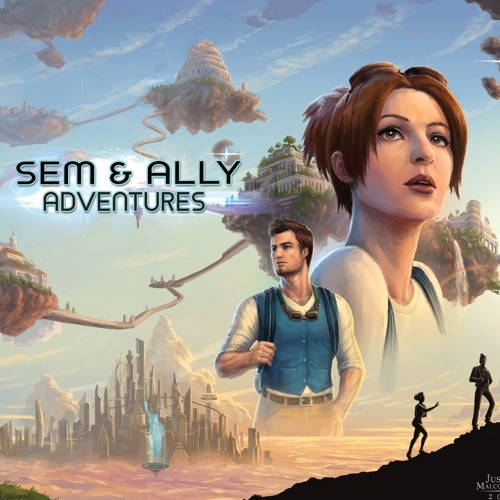 Sem: Adventures Across Time (Sem and Ally Adventures) Chapter Twelve - Running into History Thinking the worst is now behind her, Ally is suddenly pressured by Otto into joining Sem on one of his rescues in time, forcing her to cast aside her fears and prepare herself for an all new series of adventures. For the latest news, links, or info on the latest chapters visit our Patreon at www.patreon.com/TSWieland or semadventures.com/ Credits: Narrated by Luke McKeel Sem played by Carl G Brooks Ally played by Abigail Wahl Otto played by Logan Wajer Written, Edited, Directed by TS Wieland Music - Soul Essence by Rameses B (@ramesesb), Pride in the Tribe by Rameses B Sound Effects provided by Malexmedia, Bareform, Disagree, Dersuperanton, Avakas, FedeFrede, Julius_galla, Sophiehall3535, and mshahen, and Inspector J Cover Artwork by Justine Malcontento Copyright ® by TS Wieland, 2019. All Rights Reserved.